Insurance in Centerville and surrounding areas! With a legacy dating back to 1910, Dayton Associated Insurance Agency has earned a reputation for delivering solid risk management solutions for businesses and individuals with substantial assets. By incorporating and joining several established agencies in 1974, we increased our ability to analyze, identify and address less-than-obvious liability exposures as well as traditional risks for both commercial and residential clients throughout Centerville, Kettering, Oakwood and surrounding communities. 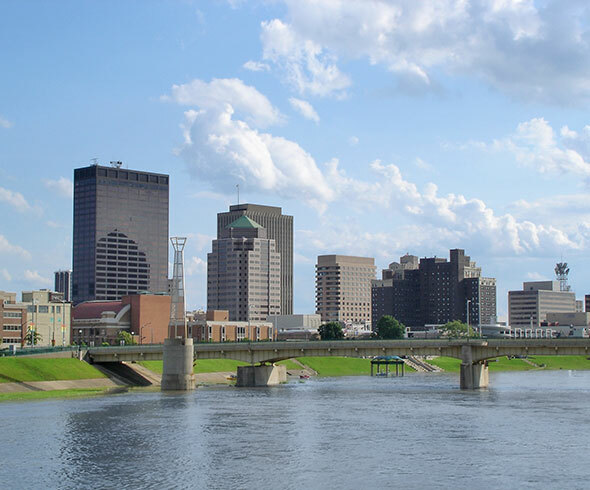 Through the experienced oversight of corporate officers Mike Waggoner and Debbie Fisher and the professional commitment of a dedicated staff, Dayton Associated has become Southern Ohio’s trusted risk management solution provider. Knowing about your family, your assets and your lifestyle makes it easier for the pros at Dayton Associated to fully comprehend the variety of personal and professional risks you face. We understand how personal and professional liability exposures intertwine and we design insurance coverage that ‘fits’ you. That’s why we spend time learning about you. The more we know, the better we can serve you. As an independent insurance agency, Dayton Associated is able to provide a host of options from a network of nationally known and highly rated insurance companies. We customize risk management solutions that take care of the specific risks you face today while providing the flexibility to change and adapt as your family and/or business continues to evolve. Wherever life takes you, you can count on Dayton Associated to be there with the protection you need. From driving to work to relaxing at home, building a business to hosting a party, Dayton Associated offers the insurance coverage you need to protect you, your family and the things you own. Our skilled professionals specialize in home and auto insurance, commercial and business coverage and life and health insurance. For the convenience of our existing clients, we can even provide Special Events coverage. When you need a quote, we’re here. Have a claim? We’ll walk you through the process from start to finish. When you have a question, we’ll have an answer. That’s personal service designed with you in mind. That’s Dayton Associated Insurance Agency. Mike Waggoner of Dayton Associated Insurance, has handled my homeowners and auto insurance since 1986. Throughout that time, Mike's been there when I've needed him. A call to Mike results in fast service and insurance company followup and settlement. Whether it's been for me or my kids (their early driving years were a challenge), Mike's been quick to respond. As an independent agent, he represents many insurance companies and finds the best coverage and prices out there to benefit his clients. My family and I have worked with Mike Waggoner and folks at Dayton Associated Insurance Agency for over 20 years. Mike is the professional, available and works hard for his clients. He comes up with solutions for all insurance needs whether it’s for autos, home, life, umbrella, theft or fire- they have you covered! Our family would not use anyone else. Interested in Our Insurance Programs? Copyright © 2019. Dayton Associated Insurance Agency. All Rights Reserved. Website By American Creative.